Your tuition includes 1 copy of the song collection on CD, digital mp3 for download and a new songbook. New Families will receive a Parent Education Guide, "Music Together® At Home: Helping Your Child Grow Musically"; a guide for parents and caregivers. Our class is basic music and movement for children age 0-5 years old and their caregivers. Babies class for age 0-8 months. Spring Semester 2019 - Classes begin on March 29th. Spring 2019 we will celebrate the "Tambourine" collection. Our Winter semester begins on November 8th. Sessions are 10 weeks. Please see our full "class schedule" for more information and to register for a class. Children under 8 months (0-7 months) of age at the start of class may attend FREE with a paid sibling. There are no refunds after the 1st week of class. 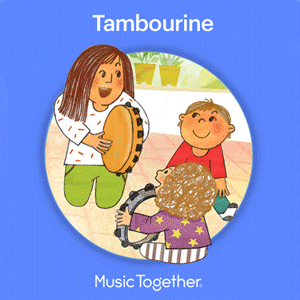 New Families wishing to sample the class, can use our "Music Together Demo Class" scheduler. Visiting family members and friends are always welcome to join our class. Visiting members 6 years and under, may drop-in for $25 a class. Click "Visiting Passes" to pay your visiting fees. Siblings 7 years or older are welcomed to join at no additional charge. Sample Class Is For New Family ONLY. If you are returning family and would like to Sample A Class, please purchase the "Visiting Pass". We might offer FREE dedicated trial classes the week prior to the start of the semester for any New or RETURNING Families. Please invite your friends and children to join Our Free Trial classes with you. ---------> Back to Demo Class Scheduler to see more detail and reserve your sample class. As a courtesy, we offer unlimited make-ups. Make-up spots are offered on a space availability basis and must be taken during your current semester. Please note that Make-Ups are not guaranteed, as they are offered as a courtesy. If you are unable to attend, you can use the Make-Up Scheduler to cancel your class. ---------> Back to Make-Up Scheduler to see more detail and reserve your make-up class. Would you like to receive our newsletter? Our newsletters are informative, educational and offer opportunities for community building. Click here to Subscribe our community Newsletter.